The Earth is facing a climate change deadline, with a looming tipping point into a dramatically changed, less hospitable planet - and Democratic lawmakers are beginning what's likely to be a long discussion over how best to deal with it. These first attempts have coalesced under the umbrella phrase "Green New Deal," championed by Rep. Alexandria Ocasio-Cortez, D-N.Y. A "Dear Colleague" letter from her office circulating in Congress this week includes calls for the United States within 10 years to shift to energy systems that are "net-zero" when it comes to greenhouses gases. It also insists the transition be "fair and just to all communities and workers." Ocasio-Cortez first outlined her environmental plan in December and now she and Sen. Edward Markey, D-Mass., who led House efforts on climate change a decade ago, are working on a revision to present to lawmakers for action. It's expected to be released within days. Requests for comment were not returned by either office. But the letter they issued to other lawmakers calls for a plan "that takes on a series of industrial and infrastructure projects that will transform every sector of our economy and society (while ensuring) justice and economic security ... for all." Even without details, the plan is being pilloried by Republicans on Capitol Hill as part of a radical, Leftist agenda that they claim, without any evidence, will raise electricity prices and reduce consumer choices. Here's an explanation of what the Green New Deal might be, what it might do and how likely it is to pass in Congress. Q: What is the Green New Deal? A: The phrase itself goes back to 2007, when columnist Thomas Friedman wrote a piece in The New York Times calling for a Green New Deal along the lines of President Franklin Roosevelt's New Deal during the Depression. Friedman envisioned the government backing basic research and setting standards, providing loans and using taxes and incentives to remake the U.S. economy. The phrase later was taken up by Green Party candidate Jill Stein, who used it as part of her presidential platforms when she ran in 2012 and 2016. Q: So that was 12 years ago. What's happening now? A: Liberal lawmakers led by Ocasio-Cortez are pushing for the creation of a newcommittee in Congress to implement a Green New Deal. Actually, there was a whole lot of fascinating politics involved, including sit-ins and a fight over who on Capitol Hill would work on the issue. The upshot was a document first produced by Ocasio-Cortez in December outlining a drastic plan of action for what the United States must do to helpstave off the worst effects of climate change. Q: What's likely to be in it? A: It's still a work in progress, but Ocasio-Cortez's original proposal called for moving the country to 100 percent renewable energy within 10 years, de-carbonizing the U.S. economy and a guarantee of a good-paying job to anyone who wants one in this new energy sector, as well as "mitigating racial, regional and gender-based inequalities in income and wealth." Ocasio-Cortez appears to be doubling down on the social justice aspects of her plan with the letter her office is circulating to other members of Congress asking them to sign on to the Green New Deal. USA TODAY obtained a version of the letter. While it only includes broad outlines, it spells out an ambitious agenda: drastically reduce carbon emissions over the next decade by spending on green infrastructure that protects the planet while ensuring justice and equity for all communities. Q: Is this in line with the Democratic plan on climate change? A: While climate change is an issue embraced by Democrats, the party doesn't actually have a legislative plan it has coalesced around. Right now, it's in the slow process of hammering one out, under a very broad umbrella also being called the Green New Deal. Q: Can we really move to 100 percent renewable energy in a decade? A: That's practically impossible, experts say, especially if nuclear power - which Green New Deal backers oppose - isn't in the mix. For comparison's sake, renewable sources (hydropower, wind and solar mainly) made up 18 percent of the U.S. energy supply, double what they did a decade ago, according to the U.S. Energy Information Administration. That share is projected to rise to 31 percent by 2050 if current trends hold up. Q: Is the Ocasio-Cortez plan what the Democrats will end up doing? A: Doubtful. This is the beginning of a political give-and-take that likelywill extend up to the 2020 presidential election - which is exactly how ideas are supposed to be hashed out in the political arena. "There will be a message battle," said Robert Shrum, a longtime Democratic political consultant who worked on multiple presidential campaigns, including Al Gore in 2000 and John Kerry in 2004 and now a professor of practical politics at the University of Southern California. "You have a process whereby you begin with a big idea, like the Green New Deal, and you're going to have to negotiate parts of it," he said. "Nothing is going to be handed down chiseled in stone from the top of the mountain." A: House Speaker Nancy Pelosi, D-Calif., has revived a special panel, known as the Select Committee on the Climate Crisis, which has named its chair - Rep. Kathy Castor, D-Fla. - but no members yet. The panel has drawn some fire from liberals even before its first meeting because they don't want anyone crafting the Green New Deal who has accepted money from or has ties to the fossil fuel industry. Castor, whose 2017 financial disclosure includes an investment into a utilities mutual fund of between $50,001 and $100,000, opposes such a restriction. Q: How are the negotiations for a Green New Deal going? A: They've begun but no actual consensus has been reached and isn't expected for some time. The first concrete steps will likely come as a series of smaller pieces of bipartisan legislation that will be introduced over the coming year. If the Democrats win the White House in 2020, much farther-reaching legislation will be attempted. "There won't be just one piece of legislation, but multiple ones at different times. Which is not unlike the New Deal that President Roosevelt pushed," said Aliya Haq, director of the federal policy group, climate and clean energy program at the Natural Resources Defense Council. Q: Is it too late to make any progress on climate change? A: Not at all, though it's certainly true that a United Nations climate report that came out in December said "rapid, far-reaching and unprecedented changes to all aspects of society" are needed within a few years to ward off the worst impacts of climate change. But we have the ability to make the changes, said Haq. "The only obstacle is political will. We actually have the technology we need to reduce pollution at scale. That would be a real pickle if we didn't have the technology. But we do," she said. Q: What do Republicans think of the Green New Deal as it's unfolding? A: Not much. At least not the ones in power. President Donald Trump continues to promote coal mining and oil drilling, pulled out in 2017 of the global Paris Agreement on climate change mitigation, has repeatedly said that he doesn't think climate change is a man-made issue, and frequently conflates short-term weather systems with long-term climate trends. 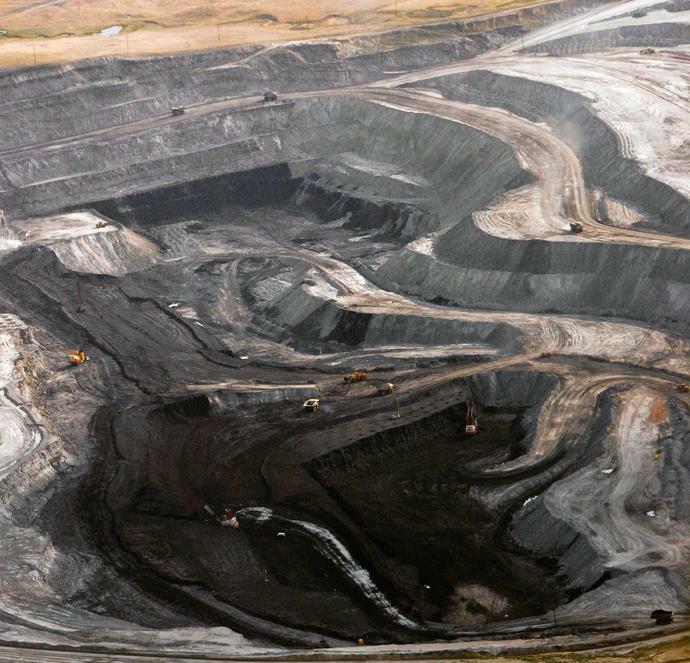 Senate Environment and Public Works Committee Chairman John Barrasso, R-Wyo, who represents the country's largest coal-producing state, said he wants to make energy "as clean as we can as fast as we can, in ways that don't raise costs for consumers." But he calls the goal of 100 percent of renewable fuels an impossibility, especially if it doesn't include an allowance for nuclear energy. Barrasso lumps the Green New Deal with expanded Medicare and immigration reform as linchpins of a radical agenda that will split the Democratic party. "As we continue to point out what Democrats are really proposing with this hard left turn, I think that's going to certainly separate the far-left Democrats from those who are left-leaning but more reasonable in terms of how they see the world," he told reporters last week. Q: Given Republican intransigence on the issue, will legislation that deals with carbon emissions at the scale needed to combat climate change at the speed that scientists say is necessary ever be politically palatable enough to become law? A: It certainly won't be easy, given the general Republican reluctance to acknowledge that climate change is real or to do anything about it that might cost money or harm fossil fuel industries. But it's not impossible. The most likely scenario would involve tying the necessary changes to infrastructure work that will create jobs and enhance the economy, said Norman Ornstein, a conservative political scientist and scholar at the American Enterprise Institute, a conservative-leaning, nonpartisan public policy research institute. "If you do it right, I could see at some point an infrastructure plan that gets broad bipartisan support that includes, as a very significant component, infrastructure on green energy," said Ornstein. This article originally appeared on USA TODAY: Green New Deal: What is it and what does it mean for climate change? LONDON (AP) - Environmental activists who have brought disruption to the British capital for more than a week blocked the main entrance to the London Stock Exchange on Thursday, gluing themselves to the doorway while wearing LED displays reading "climate emergency." LONDON (AP) - Teenage climate change activist Greta Thunberg has accused adults of stealing young people's future as she met senior British politicians at Parliament.